Chevron Corp. is paring its Asia operations, selling assets worth up to $5 billion in an effort to raise cash, according to people familiar with the situation. The California-based energy giant is set to begin selling its offshore China assets this month, the latest in a series of divestments in Asia. The company is looking to raise up to $10 billion globally from asset sales, a big chunk of which will come from its Asia upstream operations, as part of a broader effort to cut costs and adapt to an environment of lower oil prices. Among the assets Chevron is looking to sell is its stake in an offshore oil field production venture with China's state-owned oil company Cnooc Ltd., which could fetch as much as $1 billion, according to people familiar with the situation. The asset could be attractive to a range potential bidders including Chinese energy companies and sovereign funds, according to people familiar with the situation. Chevron is also shopping its geothermal assets in Indonesia, the people said. The company is weighing bids worth more than $2 billion, according to one person. Geothermal energy uses steam extracted from underground to generate electricity. Chevron is also selling natural gas field assets in Thailand, according to people familiar with that deal. The proposed sales would mark a meaningful reduction in Chevron's footprint in oil and gas production in Asia. 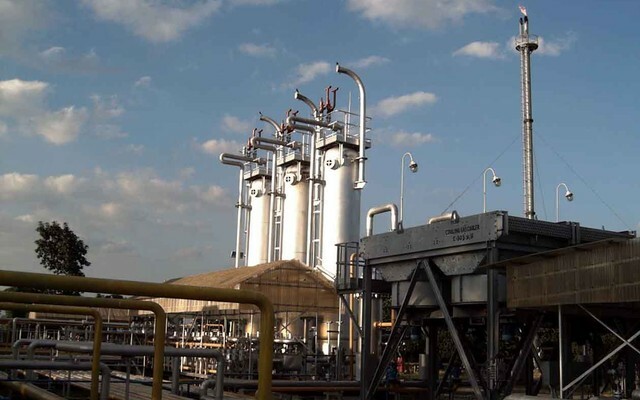 The company continues to operate a natural-gas production business in Bangladesh and onshore in China, as well as offshore production in Indonesia. Some locales in Asia are still attracting investment from Chevron. In May, for example, a Chevron-led consortium announced $37 billion in new spending to expand an oil project in Kazakhstan known as Tengiz, one of the biggest energy investments in years. Chevron's retrenchment in Asia comes as the global energy industry continues to cope with an oil-market slump that earlier this year sent prices to 12-year lows. Prices saw a brief rally over the last few months but re-entered a bear market this week. Chevron reported a $1.5 billion loss in the latest quarter -- its third-straight period in the red -- as depressed oil prices continued to drag on its results, although the company's revenue decline was less than analysts anticipated. The company also took $2.8 billion of impairments and other noncash charges. Chief Executive John Watson said the company's poor performance reflected "our ongoing adjustment to a lower-oil-price world." In the second quarter, the company's average sales price per barrel of crude oil and natural gas liquids was $36, down from $50 a year ago. The Asia deals are part of a broader program of asset sales that Chevron is undertaking. The company had said in January it is looking to sell up to $10 billion in oil-field and other assets through 2017. Of that target, it has already completed $1.4 billion worth of sales. Chevron is also cutting 8,000 jobs -- around 12% of its workforce -- and slashing billions of dollars from its capital-spending budget, it said last week. A Chevron spokesman declined to comment on the proposed sales. In a statement, the company said its "strong portfolio of projects and robust strategic position in the Asia-Pacific region ensures we are well-placed to deliver on our business plans, grow profitably in core areas, and build new legacy positions in the region." The two-year-long slump in oil prices has prompted many international oil companies to scale back on ambitious production projects and costlier overseas ventures. This is the case in Asia, which is home to older, less productive oil and gas fields, said Andrew Harwood, Asia-Pacific research director at energy consulting firm Wood Mackenzie. "The majors globally all have fairly aggressive divestment targets," Mr. Harwood said. "Whereas in the past Asia was perhaps a key part of their portfolios, it no longer holds the material growth prospects it had before." The assets could fetch rich bids from Asian buyers. "You have a competitive environment where the local national oil companies are becoming more assertive," Mr. Harwood. Wood Mackenzie forecasts production by major western oil companies in Asia to fall to 1.8 million barrels of oil equivalent a day in 2020 from 2.3 million this year. The firm estimates those companies own as much as $40 billion worth of assets in Asia that are in the middle or late stages of their lifespan and could be eligible for sale.